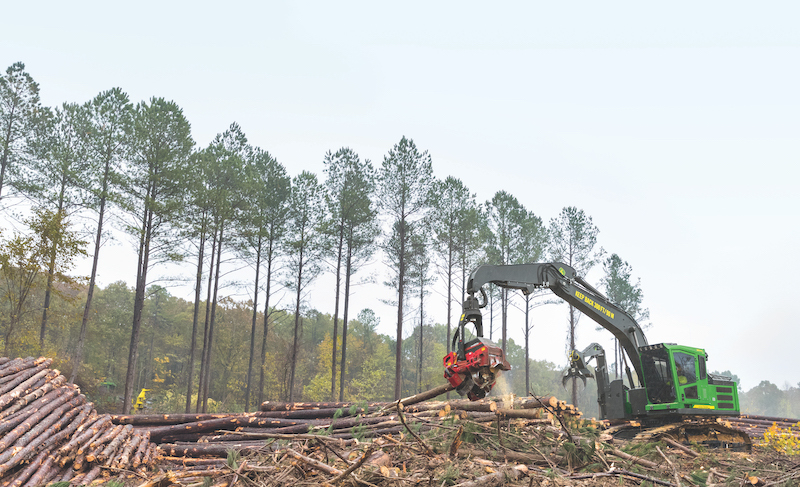 Wade Byars Logging LLC now uses a cut-to-length processor. Change can be difficult, and it can be especially tough to make a switch after a long time of working with the same machines and methods. For Harrison Logging Inc., Wade Byars Logging LLC and Bar Forest Products LLC, change was necessary. These companies, all headquartered and working in the southern U.S., adapted to cut-to-length Waratah processing heads and now they’re reaping the benefits of their decisions. 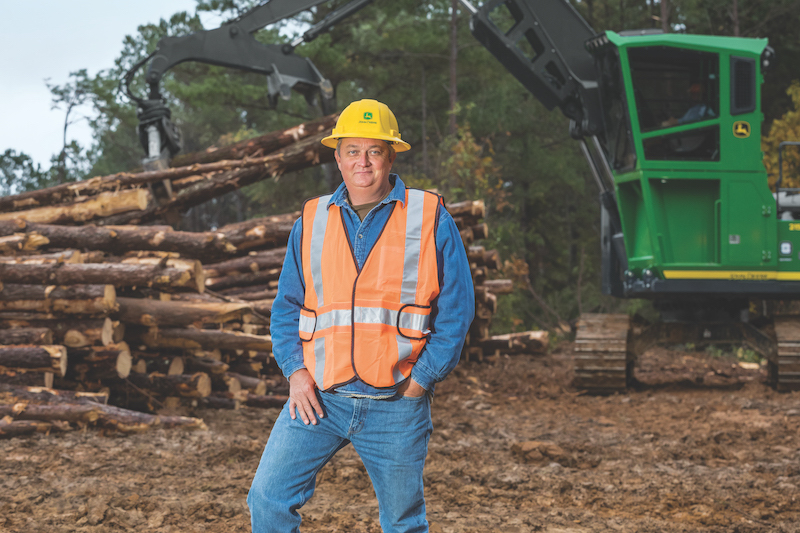 For Kevin Harrison, president at Harrison Logging in Grenada, Miss., it was a calculated decision as he noticed mills were becoming stricter about the quality of logs. Harrison’s father and grandfather began the business in the early ‘80s. 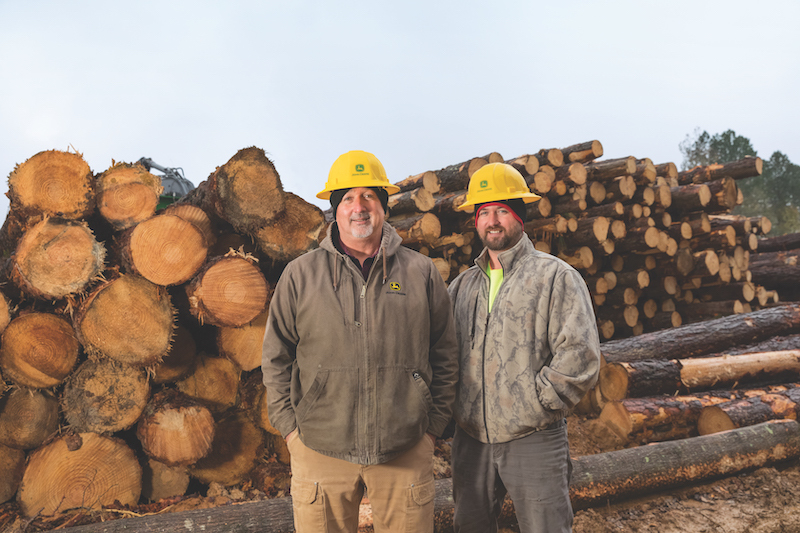 Kevin Harrison, President, Harrison Logging Inc.
Wade Byars, whose operation, Wade Byars Logging, started rolling in 1992, had previously used a pull-through delimber, a typical operation in the southeast. The Carroll County, Miss., company quickly noticed a difference once they purchased the Waratah HTH622B from Stribling Equipment. They liked the head so much they also purchased an HTH623C, which is now the primary workhorse. 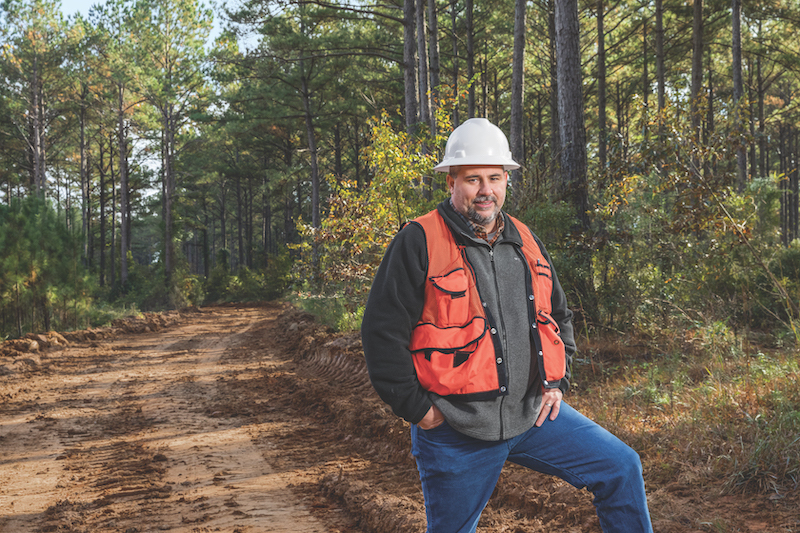 Wade Rolison, owner of Bar Forest Products in Butler, Ala., considered efficiency before switching to the cut-to-length process. The company, which began full-time logging production in 2005 with one crew and expanded over time to seven crews, purchased a Waratah HTH622B. Wade Rolison, Owner, Bar Forest Products LLC. For each of the three companies, the transition was a smooth one. A Waratah support team member was on site with each head delivery to help calibrate the machine settings and explain proper use of the head. The companies appreciated this boots-on-the-ground approach because it was different than their experiences with other machines they’d bought in the past. “When we took delivery of the new 623 head, the Waratah team came out and helped get everything set up on it. They make sure everything is right, make sure you’re comfortable with it,” Byars said. Beyond the set-up, Rolison was also struck by the confidence the Waratah team had in their products. Rolison quickly realized the reliability and why the Waratah team stood behind their harvesting and processing heads. The simple maintenance and uptime of Waratah heads was something Byars noticed in his operation as well. With its large, high-torque feed motors, delimbing power and great balance of feed speed, the HTH623C is born to perform. Harrison also marked the precision of the Waratah head. After settling in with their new cut-to-length processing heads, the businesses quickly saw the benefits of Waratah’s cut-to-length function. “I reckon production is steadier, and the quality of the wood is the biggest thing I’ve seen, getting every stick to the correct mill and getting more money out of every tree which in today’s market, that means a lot,” Harrison said. Byars says one major change has improved consistency in production. The company had previously hauled about 100 loads in several days but can now haul 106 loads in a mere three and a half days. Byars is pleased with his decision. Byars’ son Klint, who operates the HTH623C, agreed, noting the extra seven to 10 loads per day. Wade Byars and son, Klint Byars, Wade Byars Logging LLC. 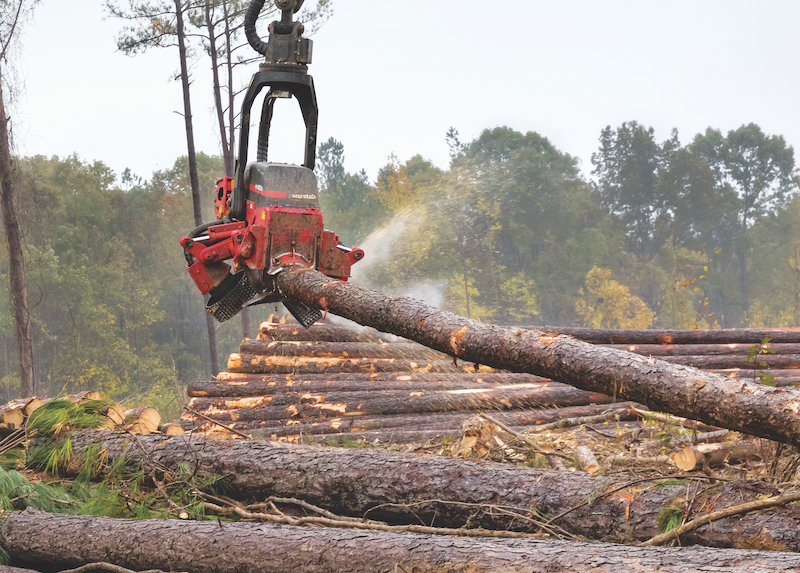 With weather and other variables affecting the amount of working days, along with an evolving logging industry, a reliable head is of paramount importance.